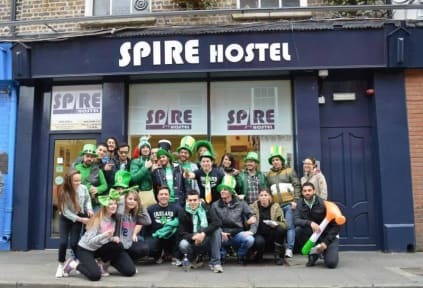 Spire Hostel i Dublin, Irland : Boka nu! Having fun activites for the people who stay there and nice breakfast! Great location and in general nice hostel but there's no lockers to put your stuff in. Some other guest told me you could rent a locker but I didn't see any in the room and no staff told me about it. Also,a guy in my room got some money stolen from another guy. It was obvious that he did it and they still let him stay another night at the hostel! !